The vanity scams we wrote about last week have continued to appear in different email designs all week. 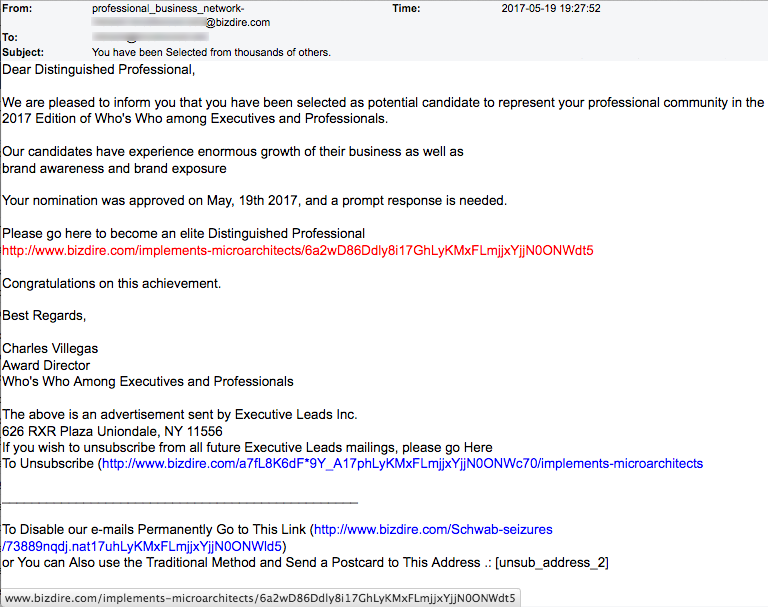 Such as this email with subject line “You have been Selected from thousands of others” and the opening words “Dear Distinguished Professional.” It claims to represent the 2017 Edition of Who’s Who among Executives and Professionals. In our humble opinion, every one of these “Who’s Who” publications is a scam, but this one is special. It’s another social engineering trick to infect your computer with malware. 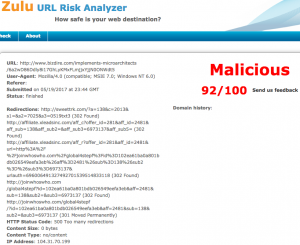 Check out the Zulu URL Risk Analyzer score! Wow! 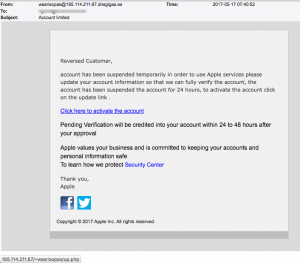 The diversity of phishing scams this past week has been fascinating! Let’s start with this PayPal Security Alert sent from dffd @ stabletransit.com, not Paypal.com. “Dear Client, we have noticed some data from your account information seems inaccurate or unverified. 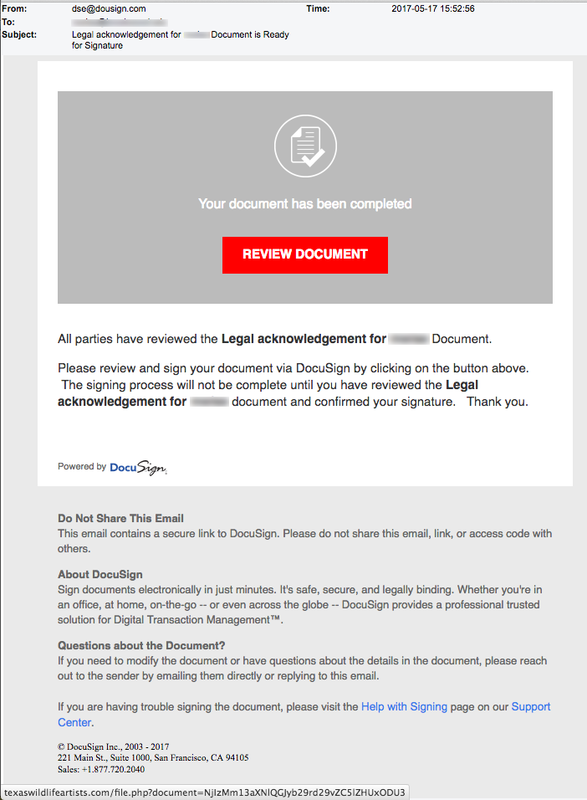 You have to check your information in order to continue using our service smoothly…” Smoothly? (Created by a native English speaker?) Link points back to a hacked website that commemorates “Guy Fawkes” day in England. (An interesting piece of UK history –check it out!) We’ve notified them of the hack. 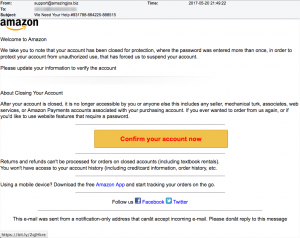 This next phishing scam wants you to think it came from Amazon.com but anyone who reads carefully will see through it pretty quickly. It came from the domain Amazingjos-DOT-biz. “We need your help” followed by an Amazon purchase number. “We take you to note that your account has been closed for protection…” Read the rest of the email and you’ll see that the creator’s first language is, once again, not English. A mouse-over of the link “Confirm your account now” reveals a secure https link because it points to a shortened link at bit.ly. We used URLex.org to unshorten it and discovered the L O N G E S T use of subdomains we have ever seen! This trick was meant to make it harder for anyone to see that the link points back to the domain amazingjos-DOT-com (not .biz). The domain amazingjos-DOT-com has 11 subdomains in front of it in this link, beginning with “amazonupi” followed by “comi.” These two sub-domains have the effect of appearing to the victim as amazonupi.comi. Slick. 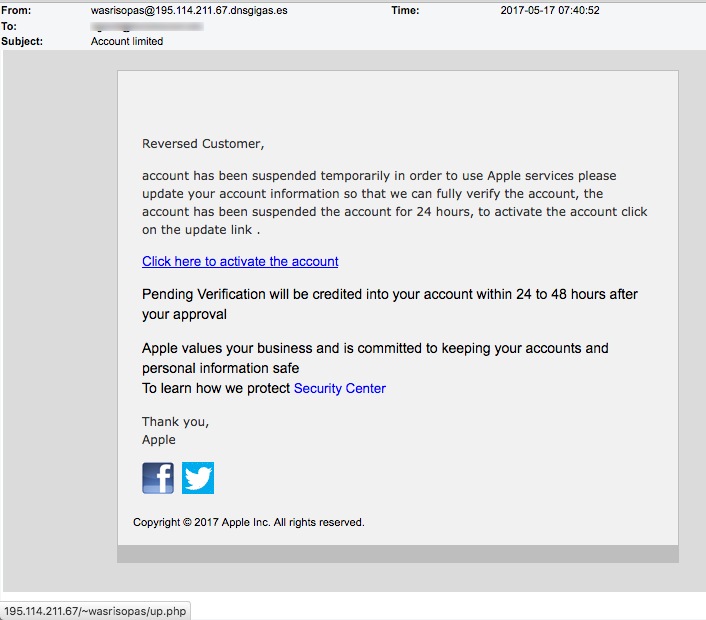 Who does this Apple phish think it’s fooling? It came from an address in Spain (.es = España = Spain) and begins with the hilarious opening “Reversed Customer.” The rest of the email reads equally silly. 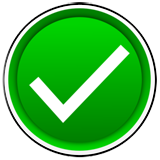 The link for “Click here to activate the account” points back to a webserver belonging to Gigas Hosting service in Madrid, Spain. 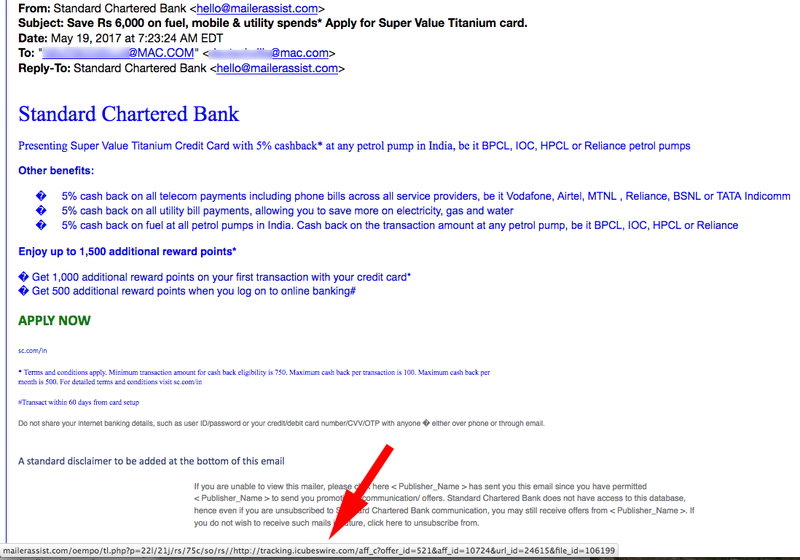 A TDS reader sent us this email he received from Standard Chartered Bank of India but it actually came from hello @ mailerassist.com. The email is a phony pitch for a credit card. 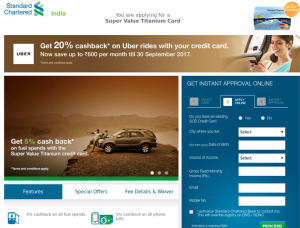 Hidden in the link revealed by mousing-over “APPLY NOW” is a redirect to the domain icubeswire-DOT-com. (A legitimate, but hacked website.) 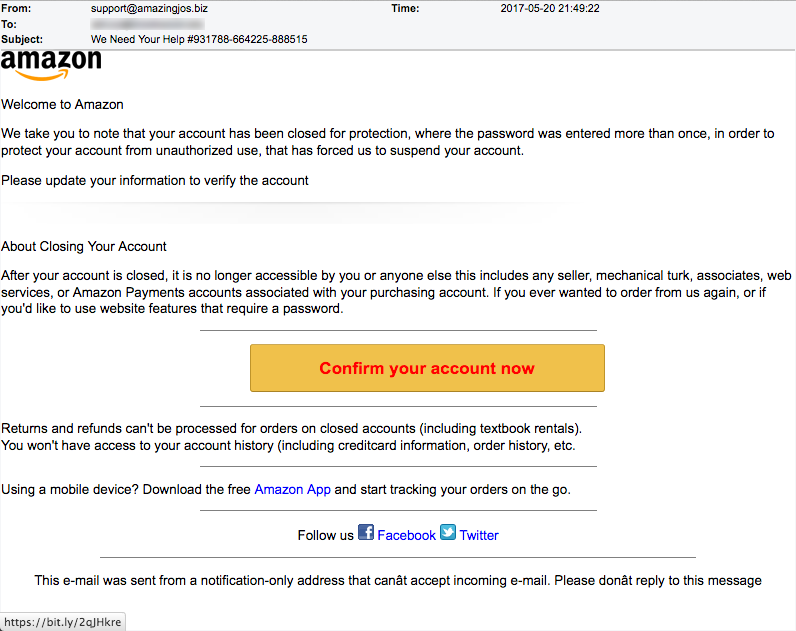 This phish is meant to capture very personal information. We followed it to it’s home and screenshot just a little bit of what it asks victims to provide. Have a look below. It is nearly impossible to tell this apart from a legitimate credit card application! 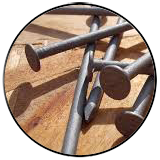 Do you know someone who likes to build with their own hands? 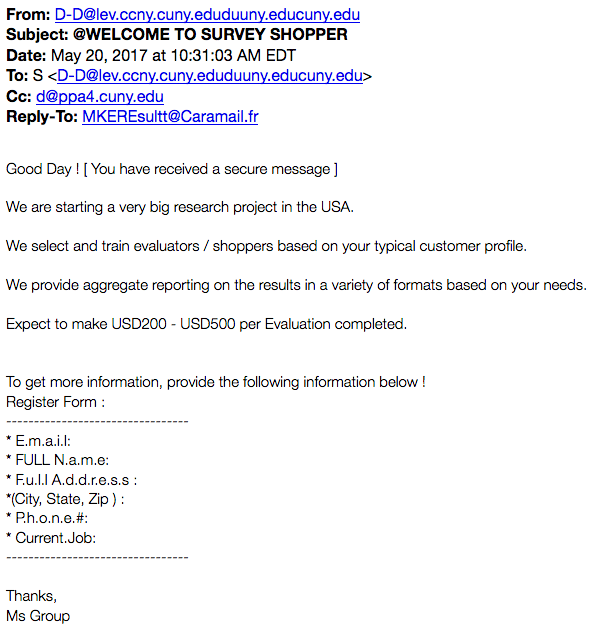 We do, and it is exactly this type of do-it-yourselfer that is likely to fall for this malicious email. 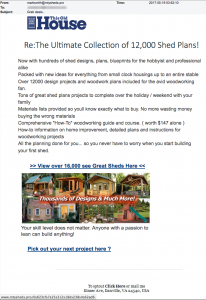 The email claims to represent “This Old House” and offers thousands of plans to build your own shed. However, the email is riddled with punctuation and other subtle English errors. 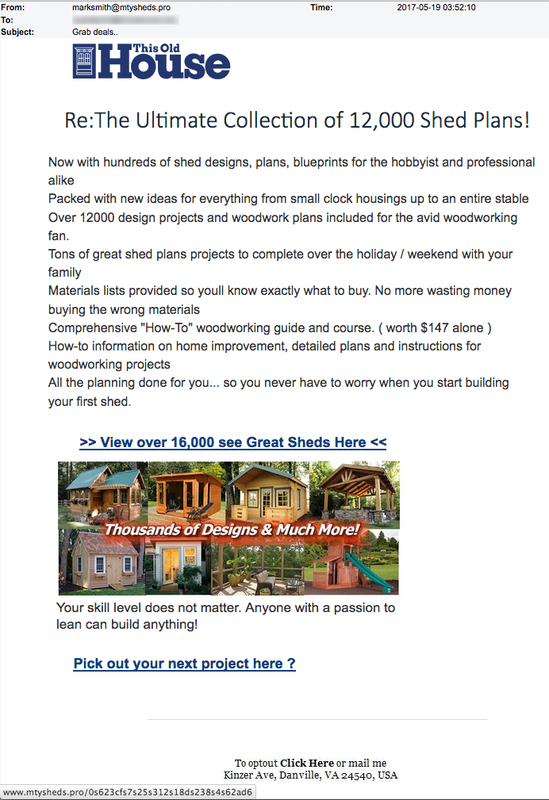 The unsubscribe notice is for an address we’ve been seeing often during the last few weeks… “Kinzer Ave, Danville, VA.” The domain mtysheds-DOT-pro was registered the day the email was sent and is being hosted in the Czech Republic. Our home do-it-yourselfers are being targeted again! 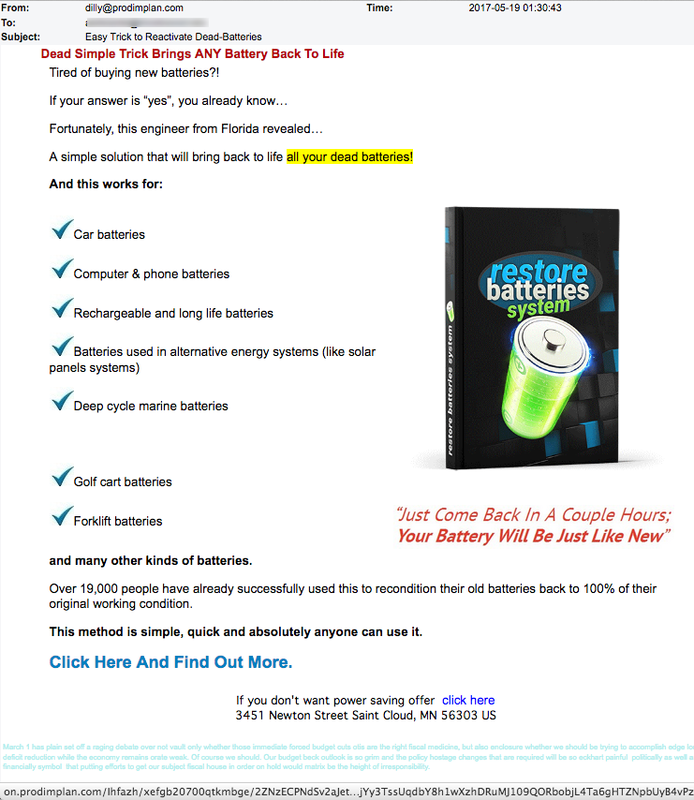 How about this “Easy Trick to Reactivate Dead-Batteries” from dilly @ prodimplan.com. 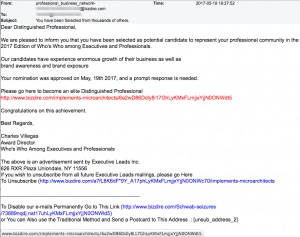 The domain prodimplan.com was registered on April 21 by someone named “Naomi Nevius” from an organization called “Dubrow” using a registrar in Australia. The domain is being hosted in Montreal, Canada. Notice the random text at the bottom of the email in powder blue? When we search for the unsubscribe address offered at the bottom of the email, we can’t find any such street in Saint Cloud, MN but we do find a link to fake email on email-fake.com. The criminal gangs who target us sometimes do their homework well. They find legitimate businesses or products and then create wolves in sheep’s clothing to mimic these legitimate groups. 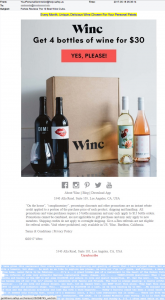 Case in point… Winc Wines. 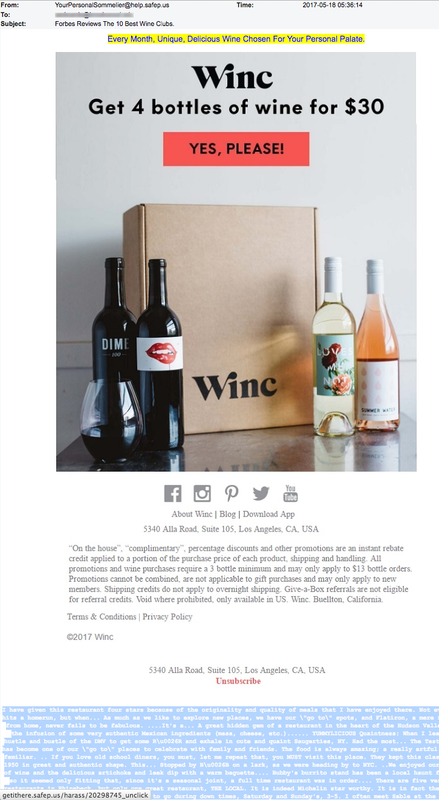 This next mimic wants you to believe it represents Winc Wine Club but notice that it came from help.safep.us. 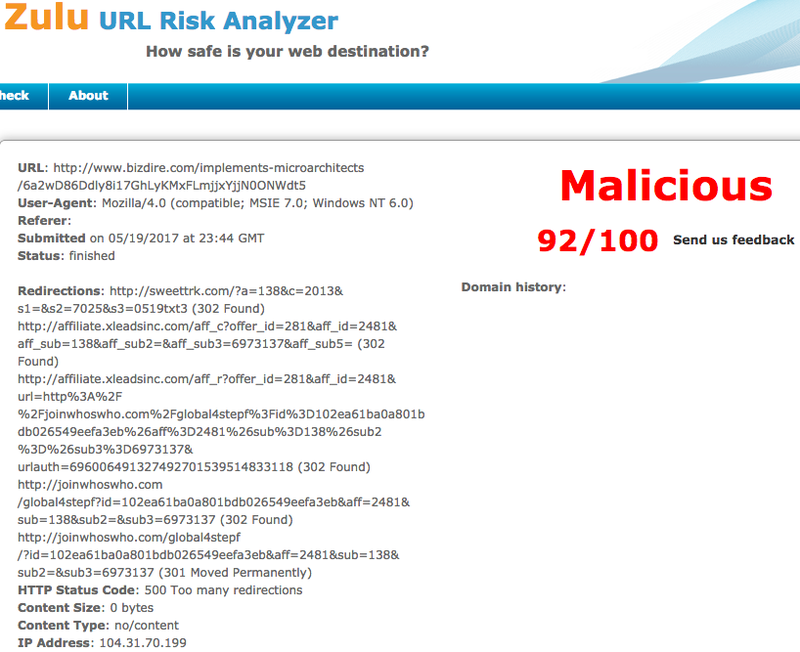 The links are malicious and point back to safep.us. Just delete and raise your glass to toast that you didn’t fall for this scam! TOP STORY: Photo Keeper or Contact Creeper? The address Photo Keeper uses is a mail drop in Grandville, Michigan. (Read our apology to Grandville!) 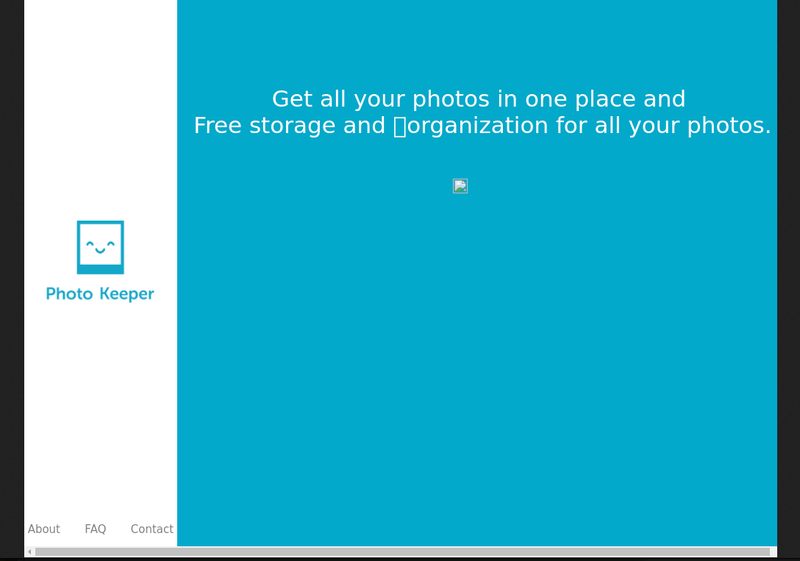 A mouse-over of the link to “View Photos” shows that it leads to the secure domain photokeeper-emaily.com. Google cannot find any website by this domain and ServiceHostNet.com reports that the domain was created and is hosted through Amazon services. 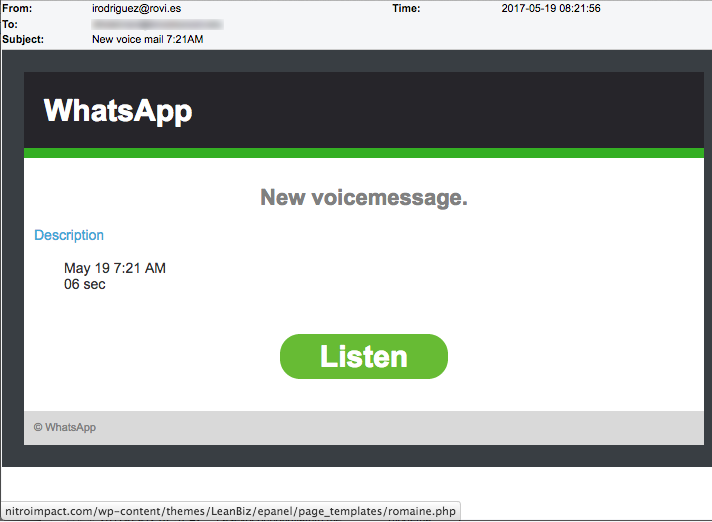 We used Screenshot Machine to peek at this domain’s top web page and it shows us what appears to be a service and/or app for your phone, identical to the website of Photokeeper.com. Are you interested to sign up for this particular service? 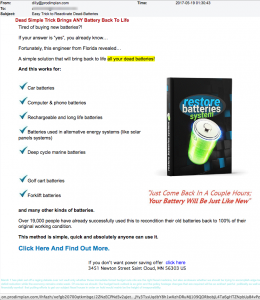 Install it onto your smartphone? It’s free afterall, so why not? But try conducting a Google search for either Photo Keeper email spam or the domain photokeeper-emaily.com and you’ll see lots of complaints about this app/service being a scam and misusing people’s contact lists. This Fox News article from January 18 claims that Photo Keeper is a sophisticated trick to steal usernames and passwords. The app self-propagates by sending an email invite to everyone in your contact list. 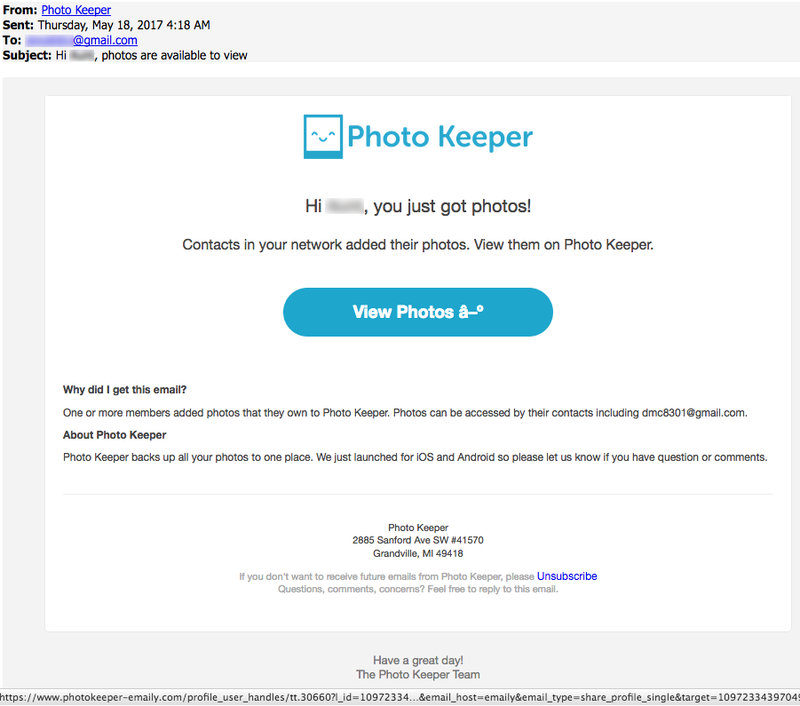 Some user’s on Reddit.com also reported in January that this scam came from the email address notify @ photokeeper-emailg.com We can’t help but notice that emailY.com, seen a few days ago, is alphabetically after emailG.com, reported in January. Could these scammers simply be adding one letter after another as they continue to create bogus domains? 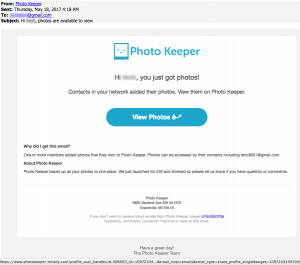 We randomly looked up photokeeper-emailT.com and photokeeper-emailM.com and found both had been registered through a proxy privacy service, like the others we mentioned. Apparently, there is a method to this madness. 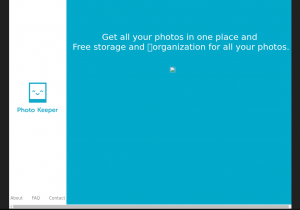 Read this blog post about Photo Keeper from Zyzmog about Photo Keeper. So what’s our point? Besides the obvious one that this app/service appears to be misusing your personal data? 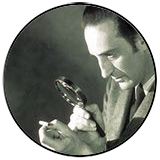 Over the years there have been many examples of apps and services, even “legitimate” ones, that have gathered and misused people’s personal data. Below are a few articles about this. As always, caveat emptor… Let the buyer beware. If it is free then you are not the user! You are likely the product being sold and marketed to others in one way or another. And even well-meaning and legitimate apps can be hacked and misused. We ask people to always think carefully about the information and content they put online or provide through an app. No one can guarantee 100% control and safety of your information. We’ve spotted several emails that look like notices from WhatsApp about new voice messages. None of them come from WhatsApp and the links are all malicious. 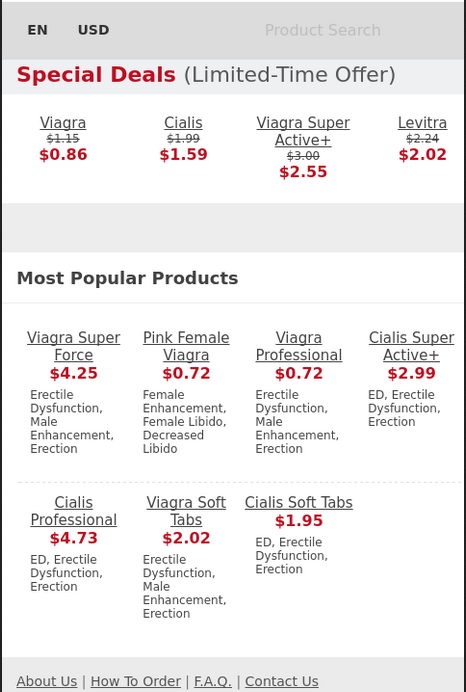 This one below points to malware hosted on a hacked website but that website file leads you to believe that you can purchase erectile dysfunction drugs like Viagra (see screenshot below) Any man stupid enough to think that this is a good place to buy meds for his ED, is beyond our ability to help. Read the from email address very carefully in this next email! Do you spot the typo? 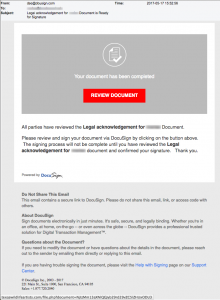 This was very clever and at first we thought it was a phishing scam to capture people’s Docusign login credentials. However, after a bit more research we learned that this is a very sophisticated effort to trick people into installing malware through infected Word files. Read this article from TechHelpList.com which exposes this attack very clearly. Emails claiming to be undeliverable packages from UPS, FedEx and other services including the U.S. mail are a constant threat in the criminal arsenal. Here’s another one of many we see, week after week. The attached Zip file contains malware. Know Nicholas? He seems to know you, friend. “Remember you were looking for these docs? 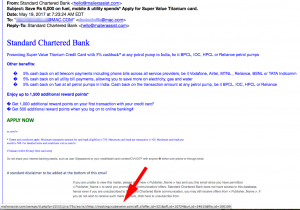 I’ve found them on…” The link is malicious. Enough said. ON THE LIGHTER SIDE: Looking For People Who Can Speak English! please contact us via email: Gav.lovskiyRobert@gmail.com , add your First + last name and your house location!